The Tiffen 127mm Softnet White 4 Effect Glass Filter uses a tried and true famous Hollywood diffusion technique. 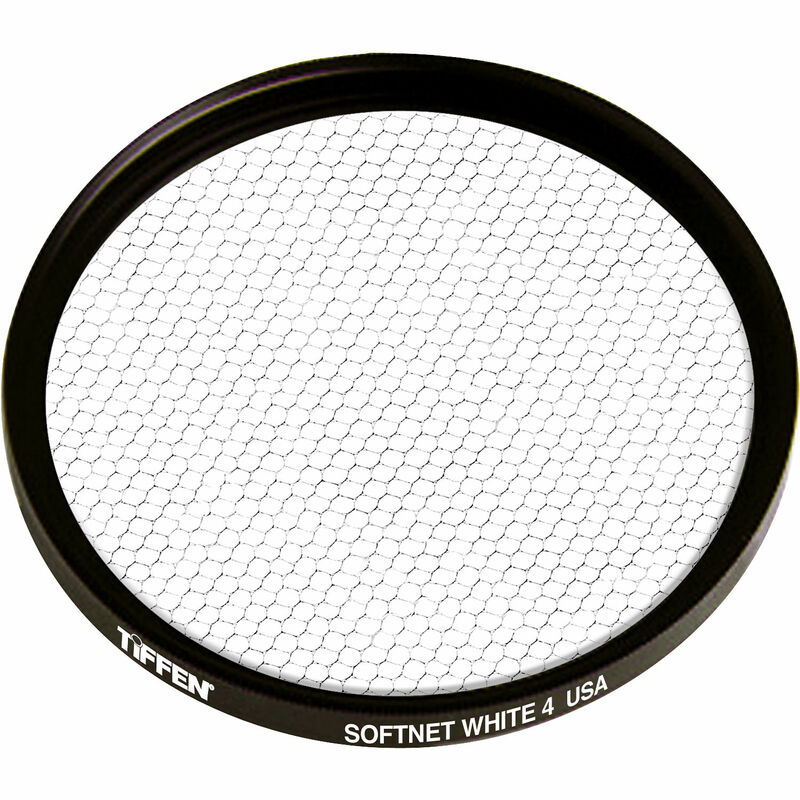 This filter contains a net material that is laminated between clear optical glass. The result is a filter which produces a diffusion effect that minimizes unwanted details but maintains clarity. The best results are achieved when this filter is used for portraits. The best results are attained when larger apertures are used. The mesh "net" material that makes up this filter lets light pass between the threads while "diffusing" the light that touches the threads. Shadow areas are subjected to lower contrast. Diffusion is achieved by the redirection of light since when "bent", it creates a slightly out of focus effect.